Could China experience a Jasmine Revolution of the sort that has brought change to Egypt and Tunisia — or does its booming economy make this very unlikely? Why have the Chinese authorities been so spooked by Internet calls in dozens of cities for "strolls" of protest — even though few people have turned out for them? What has made Beijing, which has tolerated some demonstrations in recent years, show zero tolerance toward the current "shadow revolution" that so far has not generated a single mass gathering? I was asked questions like these a lot during a recent nine-day trip that took me to Beijing, Shanghai and Hong Kong to speak at a couple of campuses, participate in a pair of literary festivals and give talks at two press clubs. This was hardly surprising. After all, one of my main research areas is the history of protest in China, and before heading across the Pacific, I&apos;d published a commentary at Miller-McCune.com on China-Egypt comparisons and contrasts, as well as a comment on the same topic at the "Room for Debate" blog of The New York Times. I knew the Chinese topic of the moment would come up, especially when I met with journalists at the Beijing and Hong Kong foreign correspondents clubs. My visit came as the government had just begun harassing foreign journalists and taking other steps — from intimidating domestic human rights activists to making the Internet on the mainland even harder to navigate than usual — aimed at stopping any putative Chinese Jasmine struggle before it started. Though prepared for the questions sketched out above, I often found it surprisingly tricky to provide the sorts of answers some interviewers wanted. I was fine when I was able to keep the conversation focused on the relevance of the past in thinking about the present. I do see parallels between this swing toward paranoia on the government&apos;s part and those in the past. 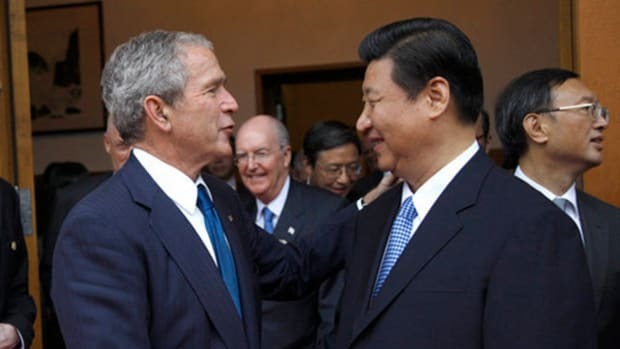 One reason, I feel, is that China&apos;s leaders are scared not just of the prospect of something happening in their country that resembles events in the Middle East but also of historical upheavals that had wracked their own land when, as now, inflation was a problem and many members of the populace were frustrated by official corruption. The problem arose when journalists wanted me to move out of my comfort zone of connecting yesterday to today and start speculating on tomorrow. I&apos;m always leery of being asked to make firm forecasts about China, since I&apos;m keenly aware of how often the Communist Party has defied the predictions of even the best-informed specialists. That includes the many who were sure it would fall in the 1990s, following the precedent set by either the Velvet Revolution in Czechoslovakia or the implosion of the Soviet Union. There was more to my unease, though, than that generic leeriness regarding prognostication. I&apos;ve spent a lot of time since 1989 thinking, teaching and writing about that year&apos;s Tiananmen demonstrations and the subsequent June 4 massacre that brought them to such a tragic end. And looking back to that era, while talk of the Arab Spring was in the air, left me with an unshakable feeling that forward-looking speculation was bound to be of particularly limited value this time because of one important thing we don&apos;t know and another important thing we can&apos;t know. The important thing we don&apos;t know is how unified the Chinese leadership group is at a crucial point in time. We know that Hu Jintao is preparing to step down and hand off the top role in the government to someone else, and such succession moments are always tricky in one-party states. The conventional wisdom holds that his successor will be Xi Jinping and that this succession will go smoothly, but we&apos;ve overestimated the unity of China&apos;s top echelon before. And given how secretive the party is, we are still reduced to best guesses about how smooth or rocky relations are between different factions within the government. All this matters because we know that significant fissures within the leadership helped provide the political environment in which small-scale student protests could evolve into a large-scale multi-class struggle in 1989. We also know that cracks within the Mubarak regime were important in determining Egypt&apos;s fate. The black box aspect of the succession process and relations among China&apos;s top leaders generally limits greatly our ability to figure out how ripe or unripe China is for a "people power"-type rising. Bottom-up factors — popular grievances, efforts by activists to mobilize and organize the disaffected, and most recently expressions of discontent voiced on the Internet via blogs and bulletin boards — always matter. But top-down factors, too, consistently make a big difference in determining whether frustrated people (of which there are plenty in China, despite the high growth rates of recent years) do more than complain in private and write angry posts online, or at most take to the street in short-lived, localized actions with very specific goals. The government has proved willing to treat those sorts of limited protests leniently of late, so long as they don&apos;t evince a high degree of organization or take place in borderland regions such as Xinjiang and Tibet (always treated as special cases). Turning from what we don&apos;t know but could conceivably luck into learning about (if the right source talked candidly or the right defector defected), here&apos;s the crucial thing we can&apos;t know: how Middle Eastern countries now undergoing transitions will look in a year or two. How many post-Jasmine governments will be stable? What will the economic and political situation in Tunisia, Egypt and Libya be like? Will those who end up in charge of such countries down the line be globally respected leaders or individuals viewed with suspicion by the international community? These questions may seem to take us far from China, but our inability to answer them right now is something that hinders our ability to predict what will happen next in Chinese politics. Alongside trying to rein in inflation, one thing the Chinese government is doing to minimize the chances of any "people power" protests on its turf is to fill the traditional press and new media with comments supporting the notion that what is happening in the Middle East is wreaking havoc in the lives of ordinary people. Upheavals that the Western press tends to present in a positive light are typically described in the Chinese press as chaotic events of the kind that China must avoid at all costs if it hopes to continue the impressive development that has made it more prosperous and raised its international stature. A similar line was staked out two decades ago when other kinds of states were being transformed by popular unrest and the unraveling of authoritarian rule. Then, too, officials made the case that China needed stability above all. And one thing playing into the hands of the Chinese state was that by the mid-1990s, the official media could make so much of the degree to which, after old regimes were replaced by new ones, Moscow&apos;s influence in the world had declined and the former Yugoslavia had spiraled into instability and war. So one prediction I am prepared to make is that, if things go badly in the future in any Arab country where the whiff of jasmine is now in the air, these traumas will be similarly magnified in the Chinese press. One thing that would undermine the Chinese government&apos;s spin on the jasmine revolutions would be if all of the transitions underway in the Middle East went smoothly. But, alas, it seems unlikely that in a year or two there won&apos;t be some country that the Chinese media can point to as a poster child for post-authoritarian trauma or claim it simply traded one kind of authoritarianism for another. 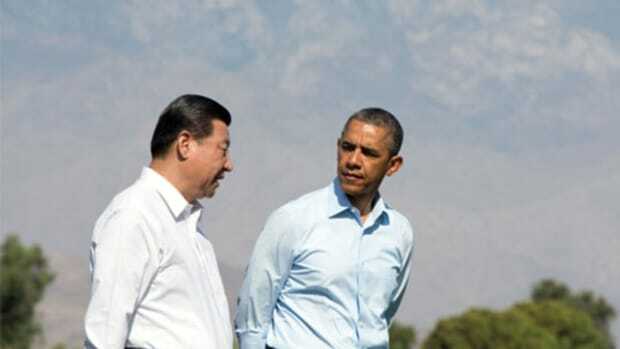 All in all, the current moment is a fascinating one for people concerned with China to watch. And it is one when much that we have learned about the Chinese state from keeping track of its past behavior can be useful, as we note, for example, how yet again it is demonstrating its special phobia about even the hint of nationwide, as opposed to purely localized, protests. This is also, however, a time for some humility among experts. We need to acknowledge how impossible it is for us to be able to say with confidence what will happen next. We&apos;ve been surprised in the past by twists and turns in Chinese politics — and due in part to things we don&apos;t know or can&apos;t know, we&apos;ll surely be surprised again before too long. A year after the arrival of China's new president on the world stage, it's time to ask if he's achieving his twin goals of being the new Deng Xiaoping and not the new Mikhail Gorbachev. Mao's (red) star is on the rise, Chiang's is being refurbished and Confucius' is in a state of flux as the ever-pragmatic Chinese Communist Party marks its 90th anniversary. The new jet-setting president may be giving the impression that China's eyes are firmly fixed outward. But the co-authors of a recently revised book on the country in the 21st century insist that now, as forever, all politics remains local.